We know that cooperatives enjoy a marketing advantage. Studies have shown that people generally prefer to do business with cooperatives based on the cooperative values and principles*. How do we engage those values and principles and live up to the expectations of consumers? What is the Co-op Index? This social audit tool was developed to assist worker coops in the implementation of their values into their work practices. It creates a report that four indices to measure trust, organizational maturity, and commitment to coop values and principles. In addition to examining the values and principles, the index also “concrete organizational actions and their effects” through four dimensions of systems, climate, attitude and outcomes. 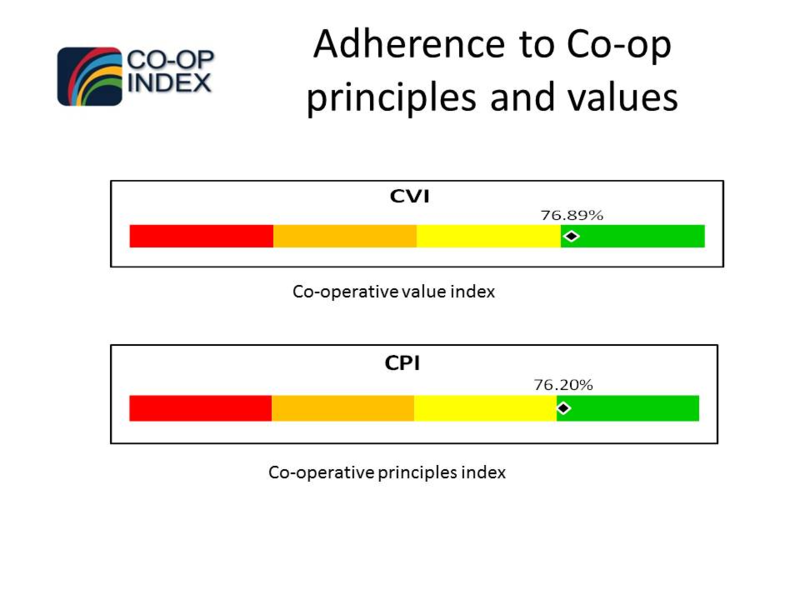 The Co-op Index is designed to work best with 100% of the membership participating. An outside facilitator, a trained technical assistance provider, helps process the survey and, if necessary, conduct interviews to provide a level of anonymity and objectivity to the process. How Does the Co-op Index Work? We will help administer a survey of the membership/workforce that measures the perceptions of the membership with regards to the co-ops commitment to co-op values and principles along with a healthy work environment in terms of systems, attitudes and outcomes. Those perceptions are compared to stated policy and the perceptions of formal leaders to identify areas where there are variances and produce a diagnostic report for the cooperative. 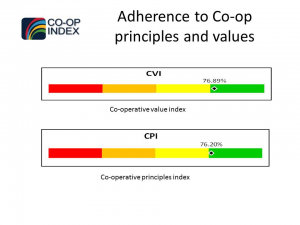 When Should You Use the Co-op Index? It is a great tool to start the strategic planning process; however it can also be used anytime to gain a sense of the membership. Repeated uses can create trend lines to measure improvement. For more information about the Cooperative Index, visit their website: coopindex.coop or contact us. Staff at the Northwest Cooperative Development Center have training to providing this service for your cooperative.